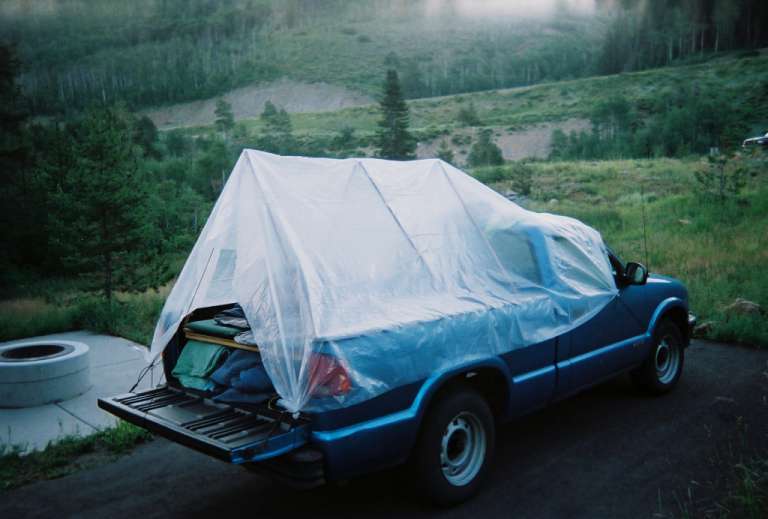 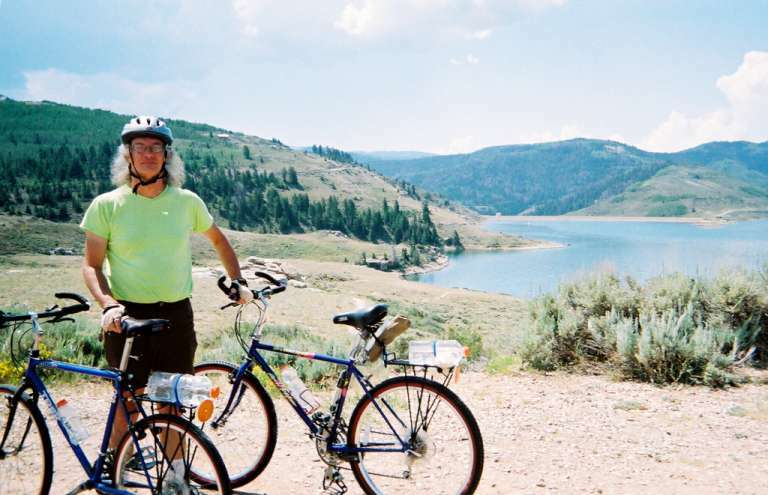 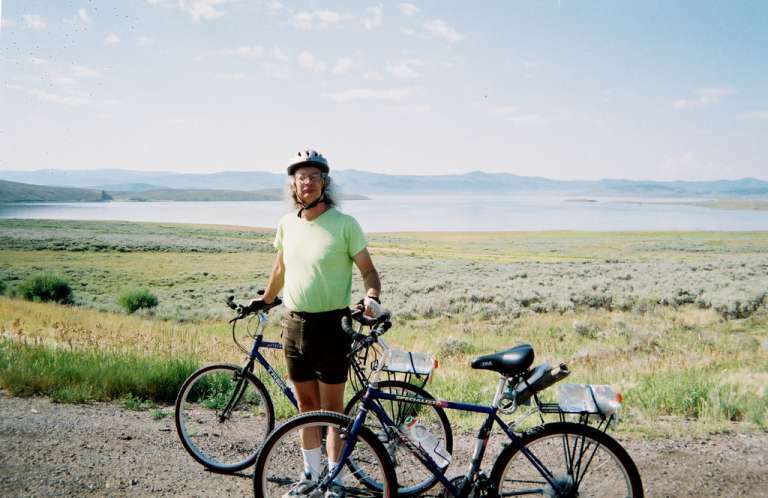 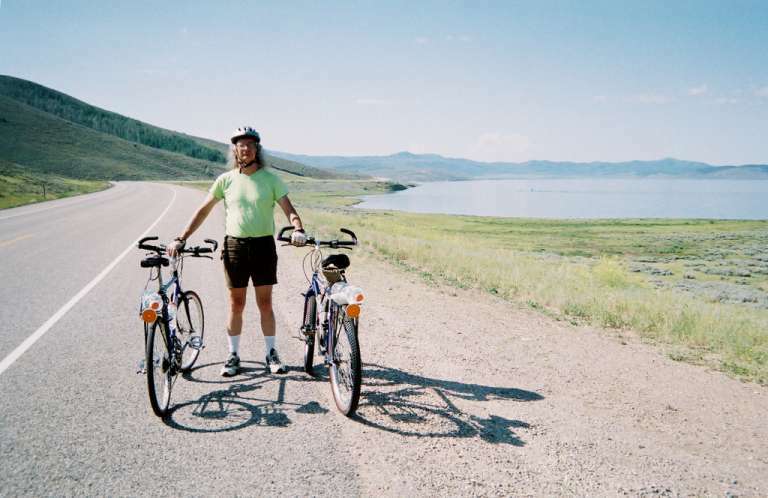 On our first bicycle trip at Strawberry Reservoir, we arrived the night before, camping at the campground near Daniel's Summit, near highway 40. 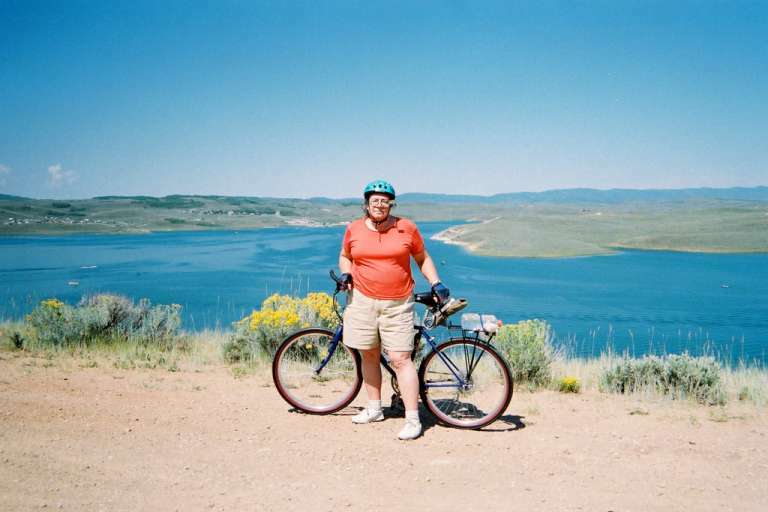 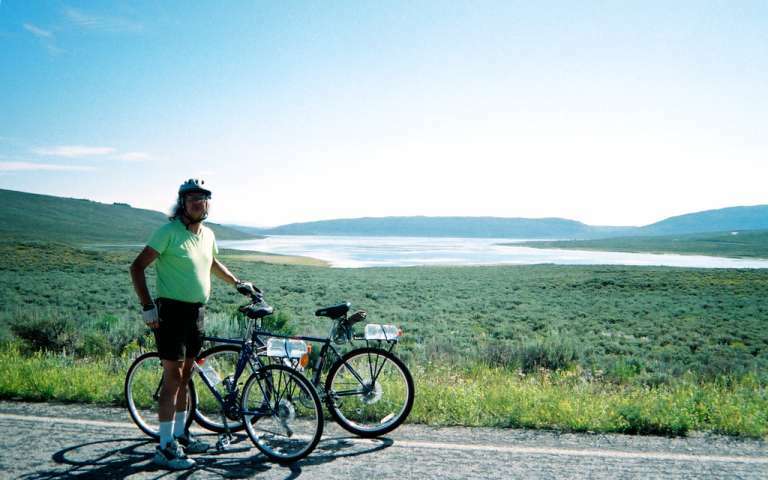 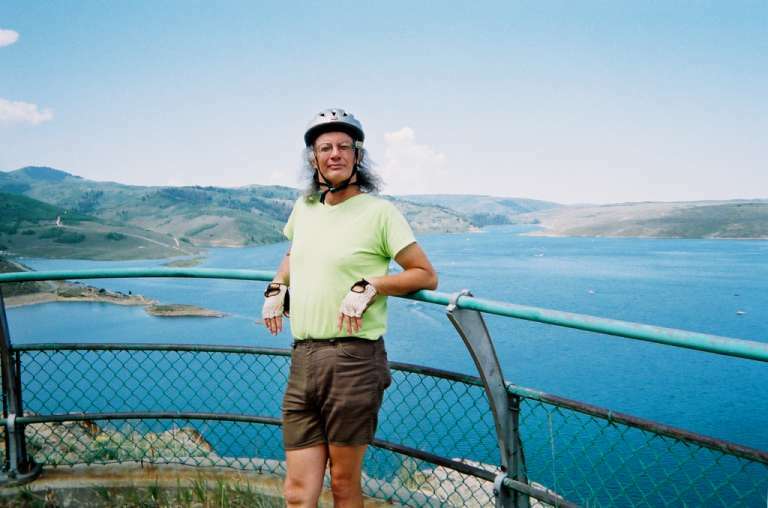 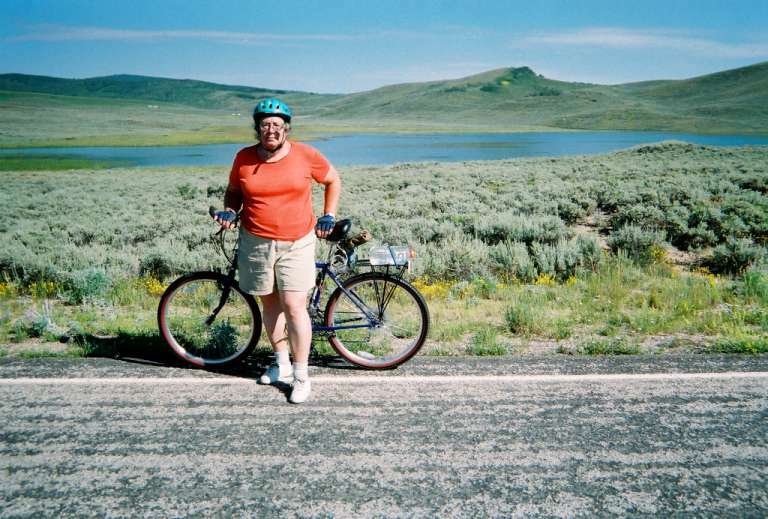 The next morning, we drove to the Strawberry Reservoir visitor center, then cycled eastward on highway 40, alongside Strawberry Reservoir, then cycled southward toward the dam. 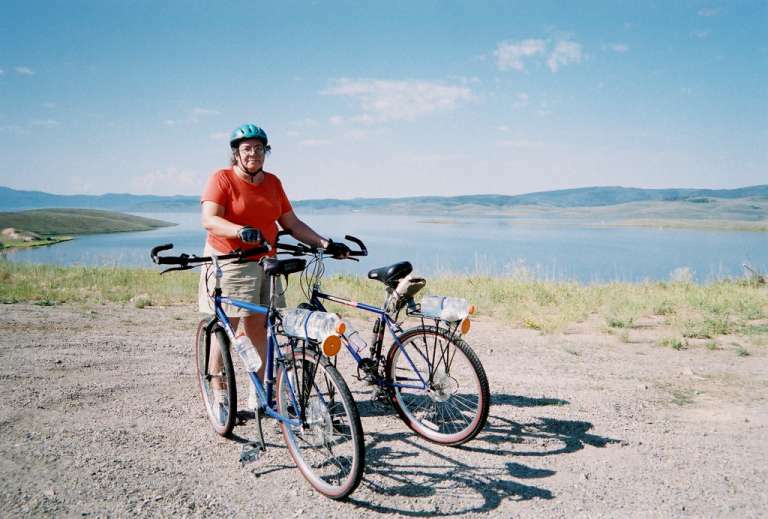 We turned around at the dam overlook viewpoint, then cycled back to our truck at the visitor center. 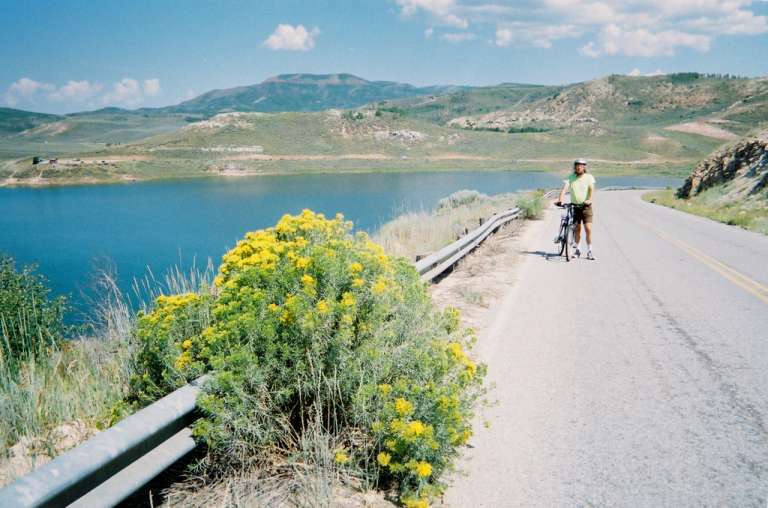 We continued cycling eastward on highway 40, then turned southward on the road leading to the dam. 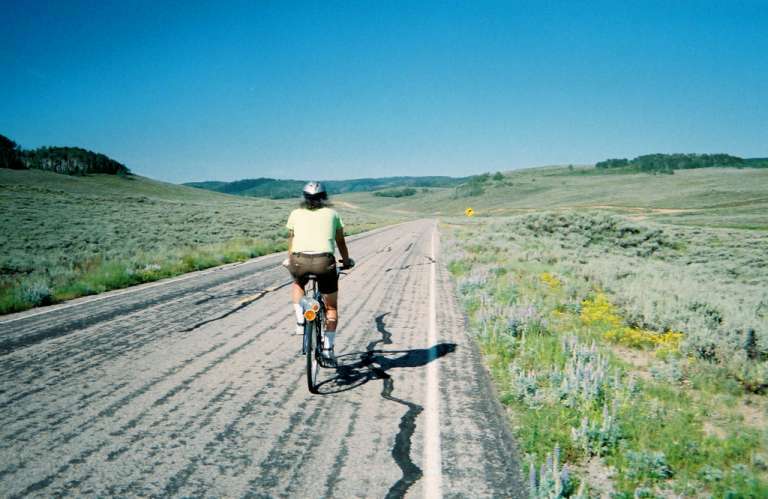 This road is considerably more hilly than highway 40. 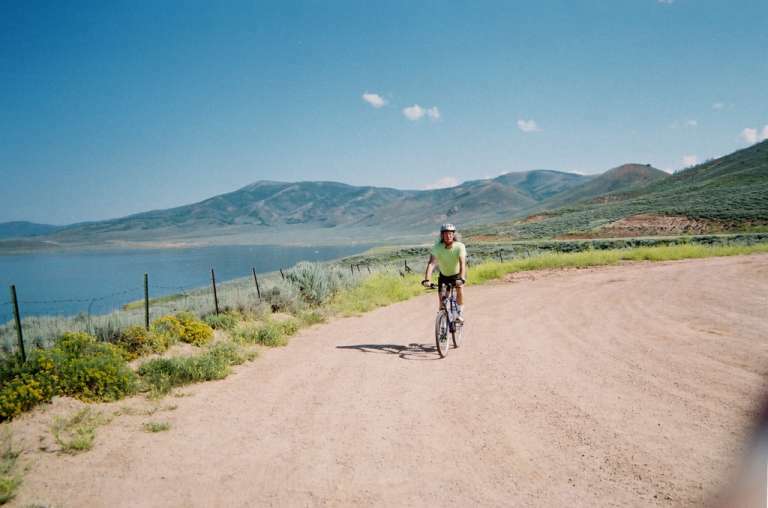 From here, we cycled back to our truck at the visitor center, then drove back to our campsite near Daniel's Summit. 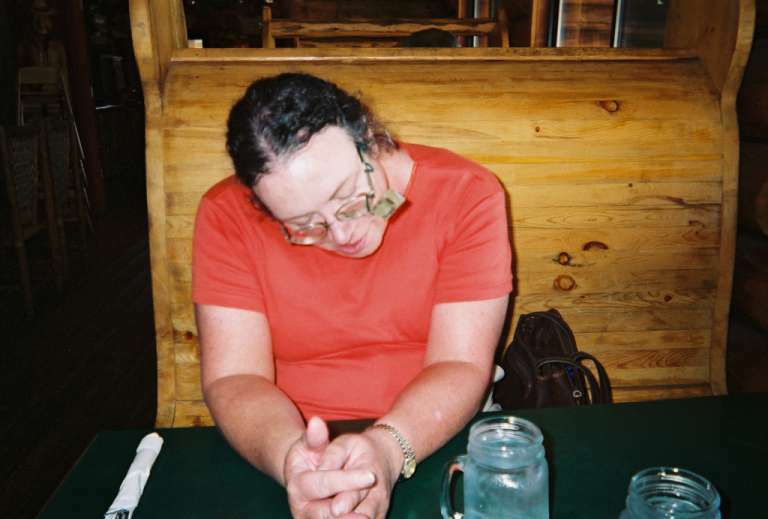 On the way, we ate at the Daniel's Summit Lodge, looking (and feeling) tired and hungry. 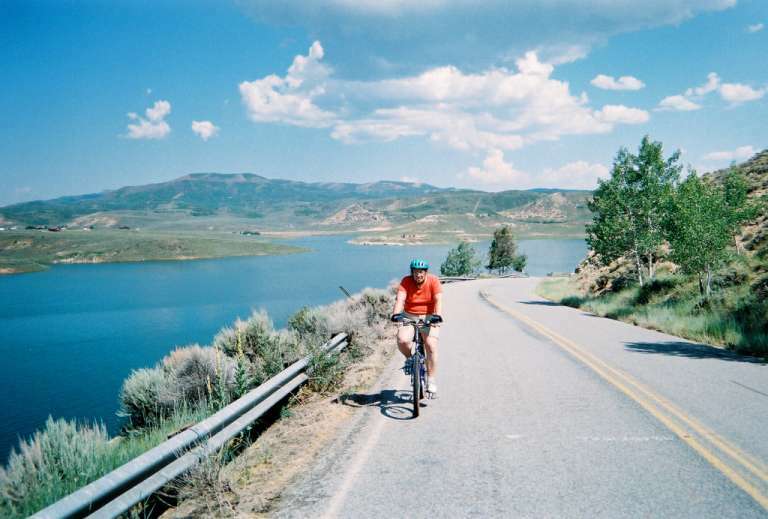 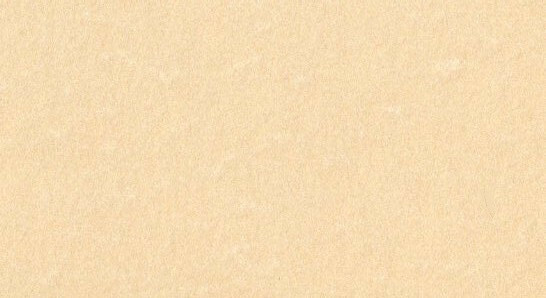 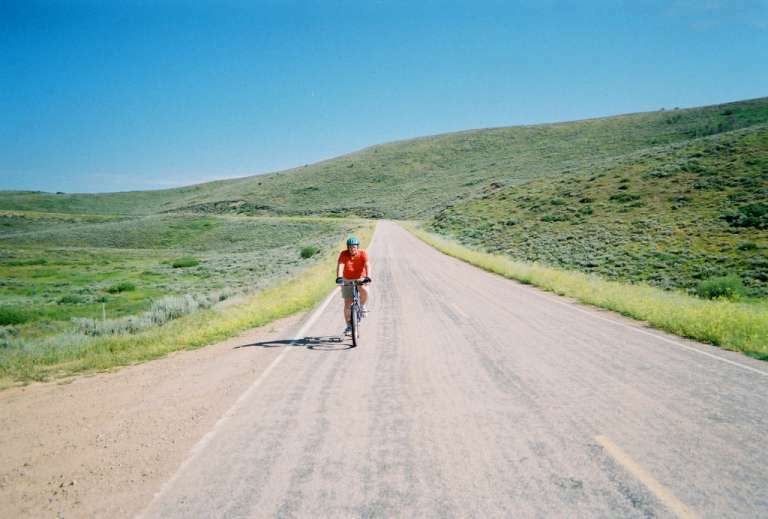 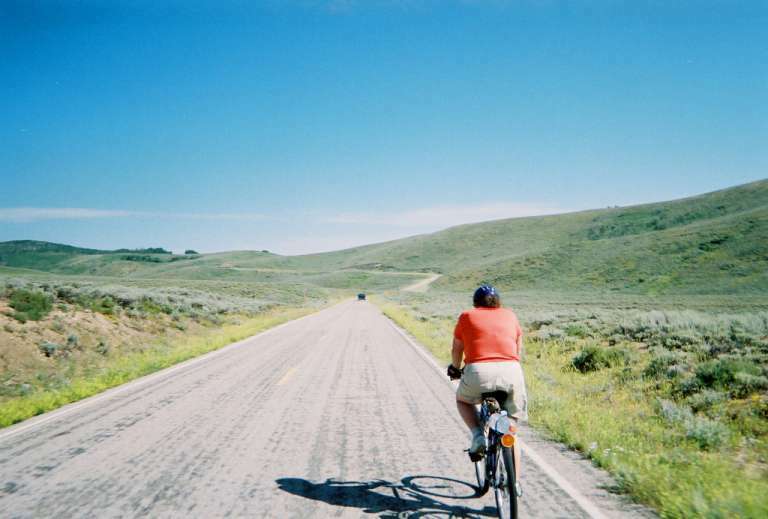 The next day, we drove on the road west of Strawberry Reservoir as far southward as it goes, and started cycling there, northward back along that road, then cycled back to our truck, and drove home. 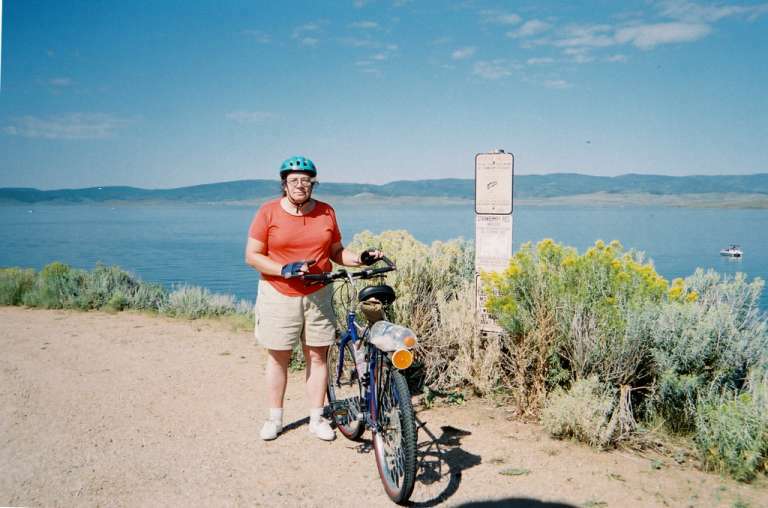 Looking back on another satisfying bicycle adventure!